Yet, as obvious as this may seem, I’ve been to many a wedding without any such thing; and I doubt I’m the only one. In this way you may have to put your ‘Subtle Sales’ hat on and gently inform, or remind, clients just how important a guest book is, and why. Don’t quite know what to say, yourself? Don’t worry we’ll break it all down for you so you know not only for yourself, but also what to say to your clients to emphasize the importance of a guest signing book. Essentially, there are two perspectives this can be viewed from : 1) the benefits of a signing book from the perspective of the professional photographer (vendor) and 2) the benefits from the perspective of the client (the end-user). 1) An extra sell – lets get the obvious out of the way. An extra item sold is, well, an extra sale. This, of course can only be good for you – especially if you’ve worked your pricing appropriately. 2) Ideal for the Upsell – If you’re selling a wedding, a guest book is the perfect item to use in wedding packages or bundles. It can function similar to a loss-leader that is portrayed as a free add-in, or included at an extremely low price if purchasing a specific package, or number of items. Of course, if you price yourself accordingly such a tactic will bring you bring the profits you seek in the end. 3) Another Brand Item – A guest book is just another place to appropriately add your logo and showcase your level of service. Including a signing book in your offers (see above) can help to establish your brand and separate you from others in your area. Offering an item that is traditional, but often overlooked will make you appear more professional and thorough – two things that are rarely (if ever) bad things. So now we’ll look at the reasons a signing book is valuable for the client, or end-user, themselves. As a professional photographer it’s important to know this as it will help you understand your clients more completely as well as provide a way for you to remind them of its importance if they forget. Well, to be honest, there’s really only one way to approach this, BUT it’s a doozy. That is, of course, the fact that a guest book provides a sincere; irreplaceable keepsake – yes, akin to the album itself. Singing books may be underappreciated; cast aside as an unnecessary expense as they're seemingly nothing more than a collection of signatures, however, they remain the most practical way to remember all those who attended the ceremony. Lets be honest, at most weddings, it’d be impossible to photograph everyone – or even every couple- who attended the wedding. Not only that, but would those photos even want to be included in the album? That would either mean unsightly (quite literally) small pictures per spread, and/or a tome of a photo album reminiscent of a college level biology text book. I know, I know, you’re going to tell me that Yes, it is possible, and perfectly easy to get every person photographed and, moreover, you don’t need to put them in the album that’s what the extras, or digital copy is for! OK, fair enough, but how many married couples sit down five, ten years after their wedding, look through their incredible album that included the most important guests and say, Hey, dig out the USB drive I want to find pictures of that guy I knew in high school. You know what guy. I’m sure he was there. Instead, having a compilation of thoughts, wishes, and commentary from each guest/couple is much more feasible and even more meaningful. Which gets us to the next point. Who says signing books have to only be signatures? Which Book Makes for the Best Guest Book? As mentioned above Guest Books don’t have to be cumbersome or expensive. We recommend something unique and eye-catching to really help yourself and your brand stand out. Moreover, something exquisite, appealing, and hand-crafted. Mohawk Matte paper on display. The ideal choice for a more antique, vintage wedding guest book. 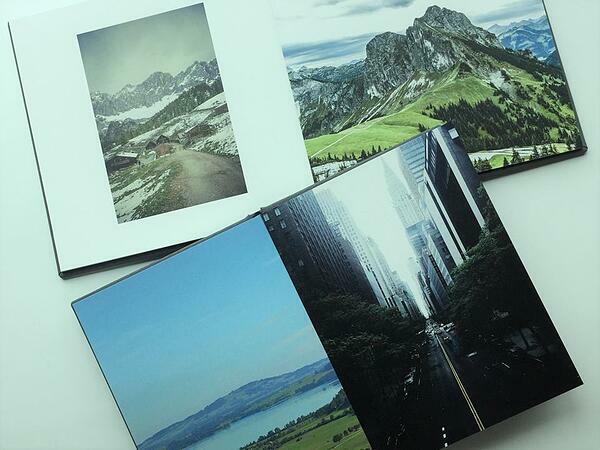 Available in our Photo Book Pro and Albums. For example, our Photo Book Pro makes for an incredible signing book. To make it unique, check out the horizontal 12×8 format. If your looking for a vintage, journal feel have it included with Mohawk Matte paper. Or, if you’d prefer a cleaner, more contrasting option our Arctic Matte is a great choice. However, if you’re looking for something even more exclusive and elegant, an alternative choice would be to offer a small album instead. In this case we’d recommend a practical, but spacious 10×10 in either our Creative line - with a beautiful image of the couple adorning the cover, or our Exclusive Collection which offers you the greatest design choice. Add metal corners, or seamed edges, or even spacers and embossed text to really make the guest book a personalized star of its own. Just one other way to make a unique, personalized wedding guest book is to include photos inside. If you happened to shoot the couple for an engagement session those images would be the perfect choice to include and wonderfully compliment the wedding album that would come later. If you didn't get a true engagement session, simply using some other pre-wedding photos you have of the couple would be OK as well. Using photos can add some life to the guest book, that might otherwise appear dull and dry. Guests could even play off of the photos and leave comments related to the images. 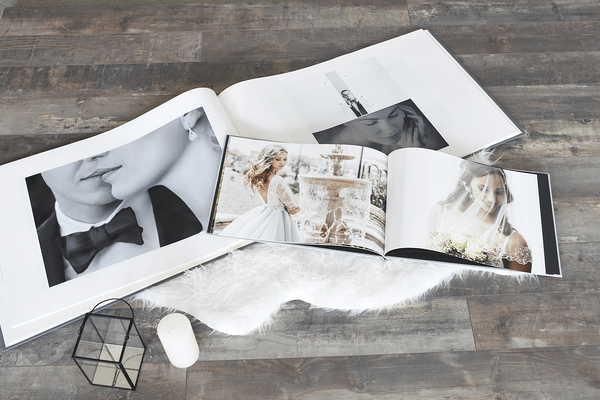 Simply, throw in a few pictures throughout an album or photo book along with blank pages and you have an awesome, customized wedding token. I understand when we imagine a big collection of people's names; as if it's some regsitry, we can quickly write off the need for a wedding signing book. But, who said wedding books only have to have signatures? Instead, guest books are - and should be - a space for each attendee to do as they wish. This could mean succinct, customary wishes; elaborate, meaningful anecdotes; or profound, wisdom of life. Providing clients with a book, especially one with ample space, invites their guests to leave more than just a signature and short, cliche wishes. Similarly, a book with some space may prompt the couple to ask guests for more than just a few words. The ways of getting guests to leave a few words has no set standard, or set rule. As the photographer you may even play the 'creative genius' and suggest fun, unique ideas for guests to leave messages for the couple. Yet, even in the traditional sense the messages the guests write can be telling. Think of your high school year book. Think of the times you pick it up and scroll through the signatures and can see, Oh, there’s a quick one, yeah, we were more just school-friends. Or, Wow, look what she wrote in there! I had forgotten how close we were then! 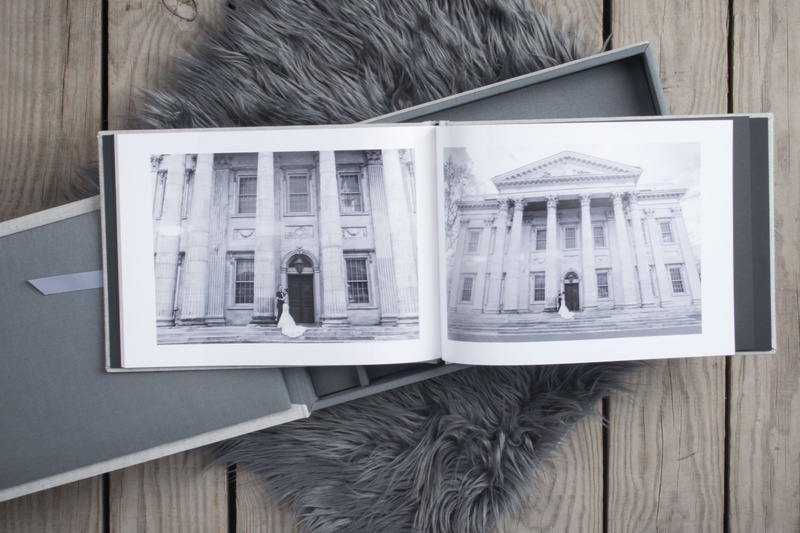 The Guest book can be a memorable memento on par with the photo album. And, like the photo album, the real value may be hard to appreciate in the moment; but becomes more apparent as time goes on and circumstances change. Signing books don’t have to be obnoxious, or monstrous – nor do they have to cost a fortune. Instead, though, the memories they too can provide – especially coupled with an album and any other mementos – are priceless. The options for a great guest book are only limited to your imagination, but the message is clear: guest books are an important piece to any wedding and can help you, as a professional, take your business to a new level. Perhaps, this year is the year to not overlook the guest book.